Rusty Clevenger is a lifelong Spartanburg resident, the son of Jerry and Gail Clevenger. He has a wife of 26 years and two adult children. 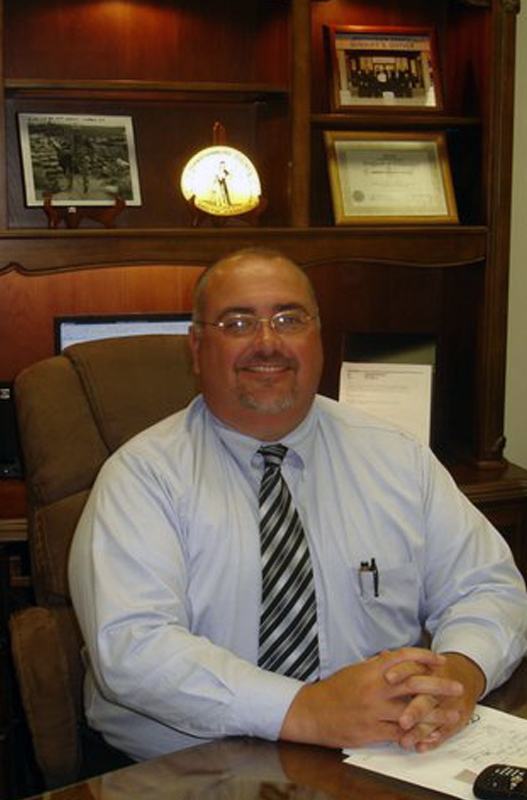 Rusty attended district 6 schools and graduated from Dorman High School in 1982. He attended Spartanburg Methodist College where he took Criminal Justice courses. He is a graduate of the South Carolina Criminal Justice Academy as a certified class 1 officer and numerous specialized schools with an emphasis in death investigation to include Advanced Homicide Investigation, Accident Reconstruction Schools, Prosecution of Death Penalty cases, Medico-Legal Death Investigation schools, and others that include Bomb Blast re-construction and Forensic Internships with State Law Enforcement to name a few. At age 21 Rusty started his law enforcement career as a Deputy for Sheriff Larry Smith, he advanced to investigations in 1988 where he worked a variety of crimes and worked the Homicide case load before taking a job as a Solicitor's Investigator in 1997. In the Solicitor's Office, Rusty was in charge of reviewing cases for prosecution, interviewing witnesses and finding more evidence to aid the prosecution in securing a true verdict for families that experienced loss at the hands of others. In 2005, Rusty became the coordinator for the County Forensic Unit working closely with all Law Enforcement in Spartanburg that included the Highway Patrol, Municipal Towns, Sheriff's Office, State Law Enforcement and Federal Law Enforcement agencies. Rusty was elected as your Coroner in 2008 and was sworn in on January 6th, 2009. As your coroner, Rusty promised to and has computerized reporting and photography processes, continued investigative excellence in your Coroner's Office, Improved Chaplin services, and visits to schools and civic groups to speak about crime scene investigation and the dangers of D.U.I. and careless driving. Under the leadership of Rusty, the Coroner's office was awarded the SC Law Enforcement Officers Association Santee Cooper "Excellence in Law Enforcement Award". In 2010, Rusty and the Coroner's Office was awarded the Life point Dove Award and Coroner of the Year 2010. In 2015, the Coroner's Office was awarded the Victim Advocate Award while at the anual event held at Spartanburg City and in November 2015, the Coroner's Office was awarded a Community Service Award from the Boiling Springs Fire Department. Rusty currently serves as Ex-Officio of the SC Coroner's Association. He is a re-certified diplomat with the American Board of Medico legal Death Investigators and has specialized training from numerous schools in different death scene investigations. Congratulations to Rusty receiving Coroner of the Year 2010 and to our Office for receiving the Lifepoint Dove Award.